The third letter before us is fearn, the alder tree[i]. Fearn is the tree of the selfless servant. The alder has strong links to both the warrior and the hunter of the tribe. In the Book of Ballymote, alder’s wood was said to be used for the creation of life protecting shields. According to Pennick, the wood from the alder tree was also valued for sword making, produced the best charcoal for metal smelting and “in later times was prized for gunpowder production”. Fearn is a water tree and resists rot. It was a foundation wood for the original dwellings and was used for piers and had many other important constructive purposes. The alder also produced dyes from its bark, flowers and twigs. These were red, brown, and green accordingly. Portions of the alder tree are edible. Fearn also has healing properties, for us, and for the forest itself. Besides being the warrior, Fearn is also the great magician, the alchemist, and the shamanic healer. Alder represents many aspects of action and movement. All of us have walked a warrior’s path at one time or another throughout our lives even if it has been for but a moment. We accept challenge or are put into positions where we have no other choice but to stretch and grow. All of us have had moments in our lives, where we have had to overcome our fears and have had to push ourselves beyond our imagined boundaries, accomplishing the previously unimaginable. War, hunting and magic were three of the great themes of the Celtic ancestors. The stories of Arthur, Bran, Taliesin, and of the gods and goddesses themselves reflect these values richly as do tales of historic heroes such as the great Queen Boudicca, who for a time was a threat to Rome itself. Life was simpler then… and harder too. A clan, tribe, or village would grow, raise, and kill its own food. The people gave thanks to the spirits for they knew what it was like to be without when the game was scarce. Hunting was often a necessary sustenance that supplemented their food stores. These were tough times where lives were sometimes lost in pursuit of game, and parties that went out in search of food would sometimes never be seen again. Lands also needed to be defended and territory disputes were often settled with violence. Food needed to be protected from marauding raiders and there were dark beings who were said to come from time to time in search for blood. In small communities everyone would know how to fight, because if the cause for battle came each person was expected to do his or her part. Times are much more complicated now. Many imagine that the need for the warrior and the hunter have both vanished sometime between the industrial revolution and yesterday. Nothing could be further from the truth. We are specialists now. Grocers and accountants are rarely called to arms. Soldiers go to war instead and police protect our cities. These warriors walk a more traditional path than many others do in today’s society. There are other types of warriors though, than just the classical archetypes. Gandhi was a warrior as was Martin Luther King. So are environmental activists, prison guards and conservation officers. So it is that even the warrior in this day and age has become specialized and has many different types of wars to fight. In his book Wiccan Warrior Kerr Cuhulain makes many astute observations about the modern path of the warrior. The author, a wiccan police officer and martial artist, quotes classical texts of war that state that the warrior only acts in response to aggression and is a man of peace (Musashi) or that he who victors without fighting is the greatest warrior of all (Sun Tzu). In her Ogham section on alder, Erynn Rowan Laurie also includes as warriors workers at women’s shelters and fire fighters as those on the path. She expresses the importance of the modern warrior in our society and speaks to the warrior in all of us. On her podcast Elemental Castings (# 37-a discussion panel on women and the changing face of paganism) T. Thorn Coyle expresses the “problems and pitfalls” of committing exclusively to nonviolence or in training and preparing exclusively for violence on the path of the warrior. She suggests that both paths offer lessons and learning’s that should be “brought to the table and shared”. Margaret Adler, author of Drawing Down the Moon, brings forth a very clear observation that I believe goes to the core of our sometimes squeamish relationship with the warrior. She questions, “When does the warrior with non violence disintegrate into non action and when does the warrior with violence go into abusive power over another?” She then goes on to suggest that there is a part of both of these extremes that can co-exist together and, “be part of the same battle for survival”. I myself have walked the path of the warrior in a sometimes hostile world. I have tried to find a balance in my life by honouring the warrior spirit that exists within me. I served in the Canadian infantry in Afghanistan but I was also very open about my disapproval of Canada going to war in Iraq (even participating in a peace march). I have arrested hundreds of people in my civilian job and have had multiple weapons and sometimes syringes pulled on me and have had to react with violence and hurt people – which has often left me feeling sick to my stomach even if I did not hesitate to react in the moment. I have had the ability, and the capacity, to be able to protect more vulnerable people than me in other situations too though. Every situation that life brings me is different and offers me something new to reflect upon and to learn from. I want a world of peace but I do not see how that world in the foreseeable future can exist without people who are walking upon the warrior’s path protecting the more vulnerable[ii]. As long as there are those that prey on the weak I will find employment in one field or another if I should choose to do so. I will just have to remember to ask myself every day if I have stepped into a place of “abusive power over another” for I must be careful not to become consumed with intentions that deviate from the ultimate goal of love and peace for my brother and sister. As we evolve-and become more and more specialized- violence in our society seems to generally decrease over time within our cities and societies. This trend comes alongside education and modern means of accountability showing us that there is another way. A fading warrior of a different type is the hunter. She or he is a provider. Instead of manning the walls against the hail of enemy spears, they are protecting the collective from the woes of hunger and starvation. This role too has become specialized as has that of the farmer, the herder, and the gatherer. We step out now onto a narrow pathway of stone that leads us directly to a market. We buy hamburgers and not a portion of a cow, potatoes and not the life giving roots of a plant, and a loaf of bread but not the heads of the grain plants mixed with life giving water, yeast, and which has been thrust before the element of fire in preparation. While it is true that the role of the hunter may have become more diminished during this era as well, perhaps there has never been a greater time for giving thanks for our plentiful hunt than there is today. The hunter in the days of our ancestors always gave thanks to the spirit of his prey, as did the farmer to the plants that he gathered during the harvest. This is so very important today. It is said that two million people will die of starvation this year on our planet. That we should live with so much should not diminish our need for giving thanks. These people in a state of vulnerability are the poorest, most uneducated people, living in some of the least fertile places on our planet. If we really want to be honest with ourselves, our fortunes and misfortunes too are braided in the past and with the spirit of the warrior. For many of us have so much today only because our ancestors had stronger, more ruthless, and better equipped armies. Perhaps in time we will remember once more how to be thankful for what we have as a society, and set out once more upon the warrior’s path as we attempt to make right so many wrongs of today and yesterday. One who is capable of delivering wounds should also be able to heal. The alder provides many healing tools to us as humans and not just instruments of war. According to separate source, Plants of Coastal British Columbia, BC natives used a solution made from the bark of alder to fight tuberclerosis. The guide claims that this tonic has been credited with saving many lives. The author’s also go on to state that the alder “was also used as a wash for skin infections, wounds, and is known to have strong antibiotic properties”. Alders are short lived but they appear quickly in areas of destruction after devastating forest fires and heavy logging. They appear as if by magic, in a group, and together they heal the very land. Science is still trying to understand the mechanisms leading to nodulation in plants. There are certain plants, like the alder, that have a symbiotic relationship to an organism that lives in small bubble like formations, called nodules, within their roots. 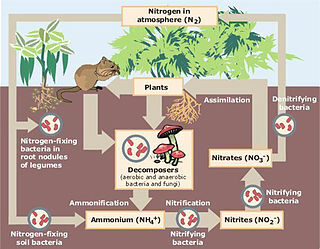 The organism, frankia alni, takes nitrogen from the air and converts it into a form that is useful for plants in the soil. In turn the alder provides these species with carbon harvested through its own photosynthesis. All plants need nitrogen, so the alder’s relationship is a benefit to the whole forest and not just to itself by being a part of this chemical transformation. In this way the soil becomes more nutritious for the whole forest than it was before. Most “nitrogen fixers” are members of the legume family (symbiosis with Rhizobia bacterium) but Actinorhizal plants like the alder and a few other species also have this ability, although it is extremely rare. And so it could be quite accurately said that fearn heals the very earth itself. Alder is the great warrior, the mover, the motivator, the provider and the healer. Fearn provides for the collective in many ways. The tree then could also be seen as a role model for the perfect neighbour. There is much to learn from this tree. [i] Most scholars and practitioners list the Ogham order of the first group of five, the aicme, as B, L, F, S, and N. This is the way it appears in the Book of Ballymote and as it was apparently given by the seventeenth century Irish bard Roderick O’Flaherty in his book Ogygia. My first introduction to the Ogham was in this order and it is what I subscribe to today. Ogham scholar R.A. Macalister once put forth the theory that the original Ogham order was in fact B,L,N, F, and S. This was to support his theory that the Ogham could be linked to a Greek alphabet. Robert Graves subscribes to this theory as does John Michael Greer. This would mean that the third letter would be ash instead of alder, the fourth would be alder instead of willow, and the third would be willow instead of ash. Many have disputed this claim. I do not think that this theory is right or wrong. It is simply important to be aware that the same characters can sometimes be listed in a different order. [ii] During the previous week I touched upon my occasional disapproval of new agers who believe that they are making the world a better place by ignoring particular problems. I believe in many ways that they are as much contributors to the problems on our planet, enablers, as those who prey on the weak and vulnerable in the first place. While the alder seems to support this personal outlook in many ways next week’s tree, the willow, may seem to agree more closely to the philosophy of the new ager. This entry was posted in Tree Ogham and tagged alder, Elemental Castings, fearn, Kerr Cuhulain, Margaert Adler, nitrogen fixation, Ogham, sacred hunter, T. Thorn Coyle, way of the warrior, wiccan warrior. Bookmark the permalink.